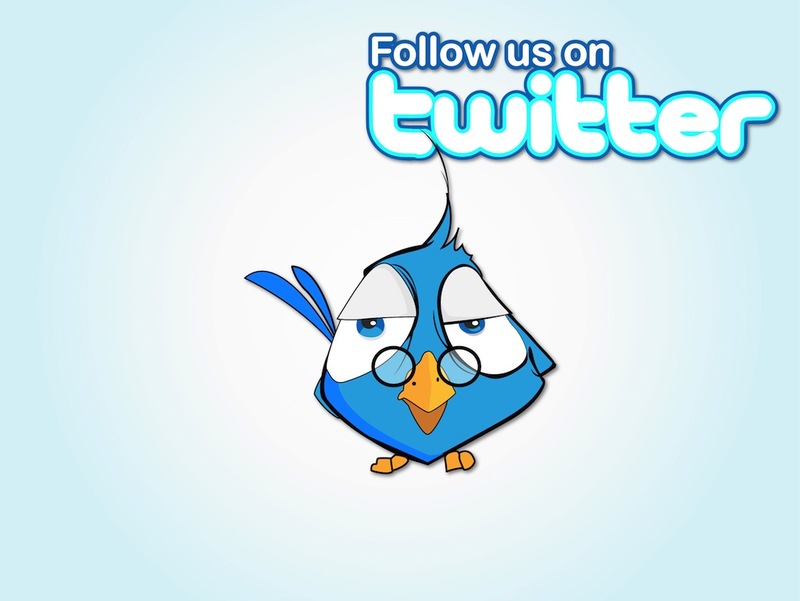 Free Twitter vector cartoon of a blue bird with glasses. The bird has big eyes and looks tired or bored. The vector also features a heading that says “Follow us on Twitter”. This image would be a great starting point for a Twitter button for your website, a Twitter-related illustration, game character or brand mascot. Twitter Birdie by Agung P.